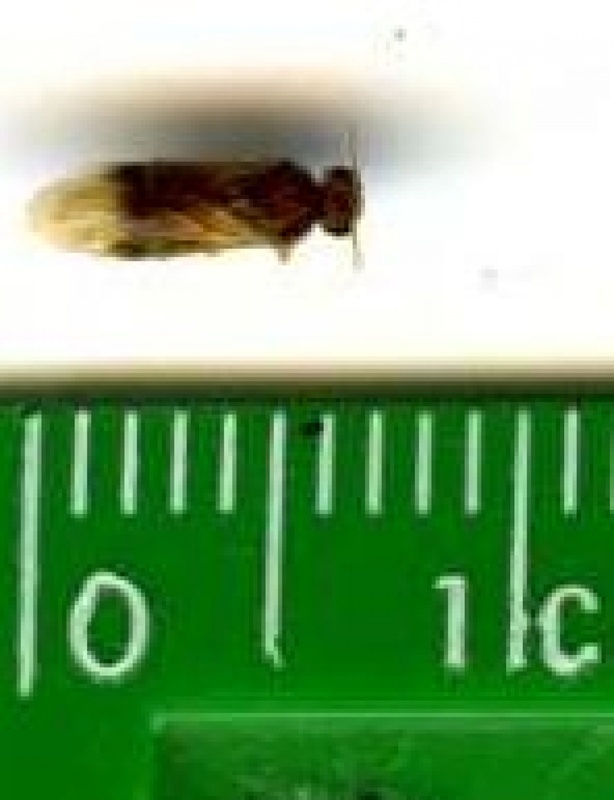 Length 4 to 6 mm. Its veined wings have a coloured stigma. 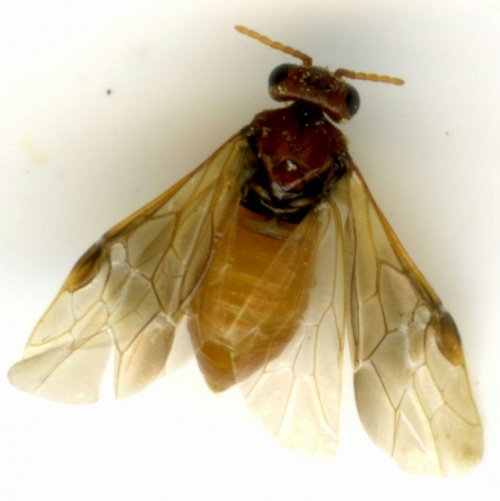 The abdomen is usually orangey yellow, at least in part. Around plum trees and Blackthorn hedges. Peak time for adult is April and May. 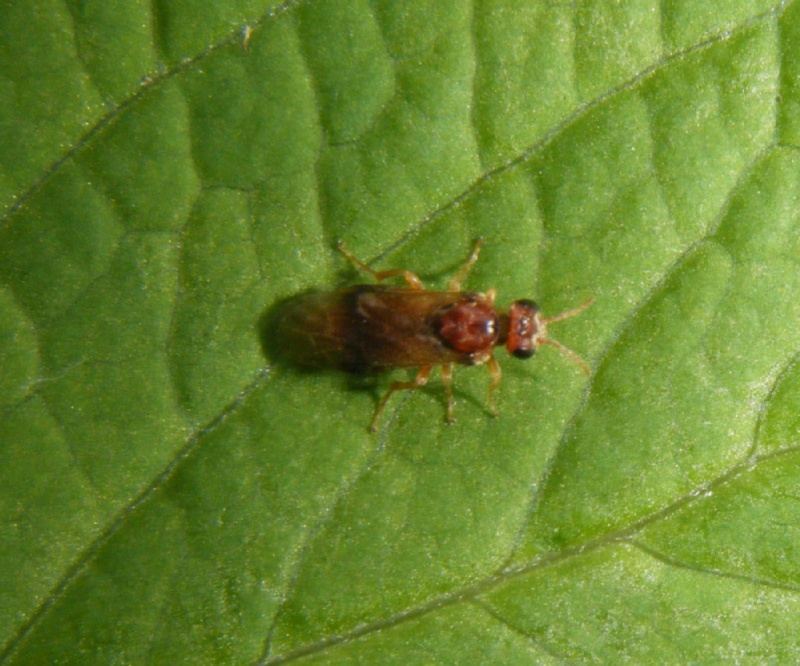 The larvae develop inside plums or sloes. The sawfly lays its eggs on the flowers. The young maggots which develop tunnel their way into the developing fruit. The fruit generally falls off when the larva is mature. The adults feed on pollen and nectar. Thought to be fairly widespread in Britain, but the species is under recorded.